This article is number 6 in a series covering the most important tournaments in the 2011 WSOP. More and more are hooked up with poker game. This all-time favorite casino game has its humble beginning as a family card game and dramatically changed to what it is known today worldwide. In fact, it has become a prestigious event done annually in elegant hotels and casinos across the globe. Word Series of Poker or WSOP is the oldest-running poker tournament way back during 1970’s and has given out billions of dollars as cash prize. The recently concluded WSOP season was an astounding success with more than 70,000 poker players joined representing over a hundred countries all over the globe. As poker has lots of variations, so with WSOP comes with different poker events including the Limit Hold’em Championship. main event in any prestigious poker tournament like WSOP. But, majority are puzzled on how the limit version, the limit Texas hold’em works. Well, for the limit counterpart, a fixed bet amount is established while you are only allowed of up to three raises. Besides, the strategy in playing Limit Hold’em is way different from the No limit version, though the dynamics remain the same but strategies radically change. Moreover, No Limit is somehow more profitable but Limit Hold’em is a game about slight edges of exploiting the weakness of less skilled counterparts. Meanwhile, let us take a sneak peak of last year’s WSOP Limit Hold’em Championship. Last year’s WSOP Limit Hold’em Championship was a huge success in which 171 poker players joined the 3-day event. Matt Keikoan had outdone them all, proving his dominance in the final table, taking home the prize money amounting to $425,969 plus the globally-recognized WSOP gold bracelet. The final table was a tough one in which Keikoan defeated other poker pros including Daniel Idema, Kyel Ray, Jameson Painters, Brock Parker, Zvi Groysman, Simon Morris, Michael Mizrachi and David Chiu. This is the second WSOP title won by Keikoan, the first was in 2008 WSOP in NL Texas Hold’em $2,000. 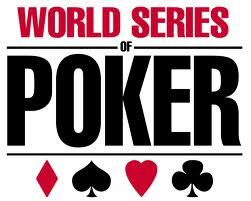 The 2011 WSOP tournament is set to commence on May 31st to July 19th at Rio Hotel in Las Vegas, Nevada. Meanwhile, the Limit Hold’em Championship is scheduled as event # 27 on June 15th, Wednesday at 5:00 pm wherein the players will start with the 30,000 tournament chips. Who will turn out to be the best in 2011 WSOP Limit Hold’em Championship? Well, poker enthusiasts will be flocking again to the dynamic city of Las Vegas to find the answer. How about you?